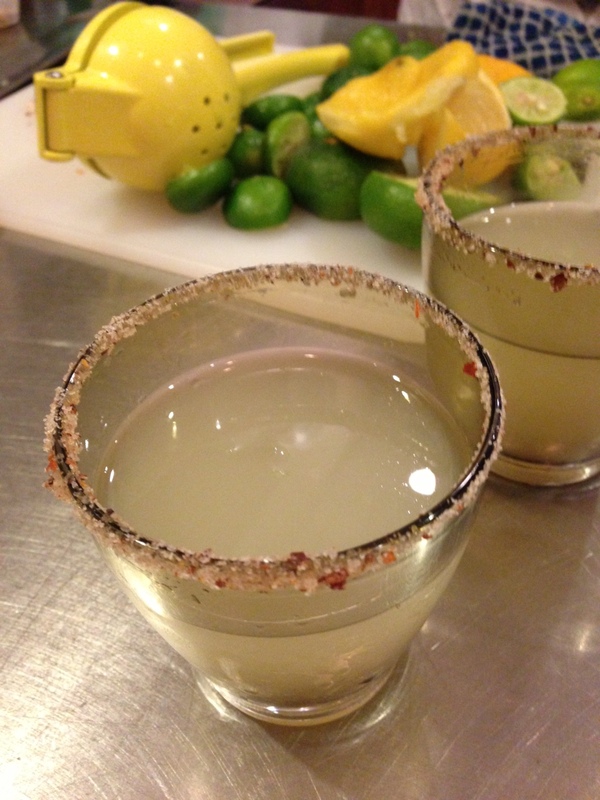 Wine… Tequila and Mezcal… Martinis… Who could ask for more? Apparently we can. With new restaurants come more opportunities to get together, and our events page has been begging for an update on what’s most imminently down the pike. That happened this morning, and we wanted to make sure you noticed! Here are the fine occasions you can join us over the next month or so, with links to menus and how to secure your spot. Cheers from all of us, to summer fun in good company! MIAMI BEACH Argyle Wine Dinner at The Raleigh Hotel May 22 at 6:00 p.m.
MIAMI DESIGN DISTRICT Spirited Sirens: Mexican Maidens Monday, June 3 from 6:00 to 8:00 p.m.
Michael’s Genuine Food & Drink welcomes Spirited Sirens to its private dining room, a series of educational seminars primarily geared towards women and artisanal imbibing. Jennifer Massolo, founder of Spirited Sirens, pays homage to Mexico, with a two-hour sampling session dedicated to tequila and mezcal, the roasted, smokier cousin spirit of tequila made from the fermented juices of the agave plant. Amid tasting and talking, guests will have the opportunity to learn about the basic history of these spirits; the tequila and mezcal making process; how to incorporate them into making cocktails; the styles and nuances of both and how to pair them with different dishes. $35 per person includes a welcome cocktail as well as two neat tequilas, two neat mezcals and one closing cocktail, plus two dishes to share family-style from the genuine kitchen and a treat from Executive Pastry Chef, Hedy Goldsmith. MIAMI BEACH Family Meal: Share Dinner Together on Mondays Every Monday Night at 8:00 p.m.
MIAMI BEACH Martini Culture: Curating Original Martinis on Tuesdays, Every Tuesday Night from 7:00 to 9:00 p.m.Ranked by Details magazine as one of the Top 10 Bars in the World, The Martini Bar at the Raleigh Hotel reflects the spirit of the golden age of cocktails. With the launch of Restaurant Michael Schwartz, we have the opportunity to rekindle the magic of its storied past together. 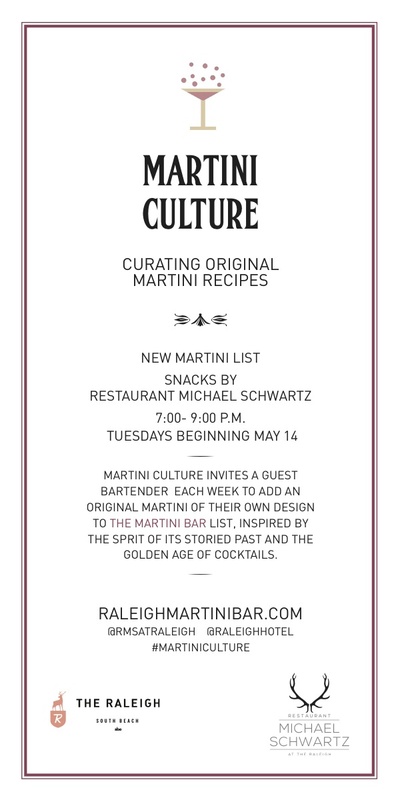 On Tuesday nights from 7:00 p.m to 9:00 p.m., The Martini Bar welcomes a new guest bartender each week to serve as host and introduce an original martini of their own design to its list. We kicked off the series highlighting the Classic Gin Martini and the Lemongrass Gimlet from Robert Montero of The Cypress Room. The upcoming schedule includes Hillary Choo of Bar Centro (5/21) and Robert Ferrara of Swine (5/28.) Snacks from Restaurant Michael Schwartz are also available, served a la carte. Walk in, and take a seat. No reservations necessary. MIAMI DESIGN DISTRICT Osteria Pizzeria, Tuesday, June 18, 7:00 p.m.
Harry’s Pizzeria stakes its claim as a showcase for the Best of Philadelphia in Miami – first the grand poobah himself Marc Vetri and now another talented member of the family, Jeff Michaud who has carved his own path to greatness earning the 2010 James Beard Award for “Best Mid-Atlantic Chef.” The Executive Chef and co-owner of Osteria Restaurant and Amis Restaurant, Jeff began his cooking career at the age of 13 in a pizza shop in New Hampshire, where he was raised and has since traveled from Aspen to Bergamo, Lombardia, Italy discovering his love for Italian cooking. 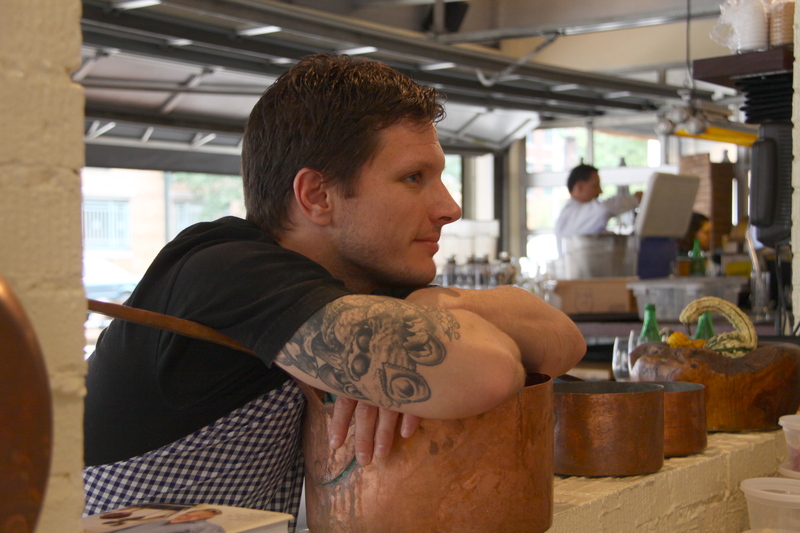 We can’t wait to host one of our favorite talented chef friends and bring his smile and northern Italian cooking in Miami. We will have the menu next week!